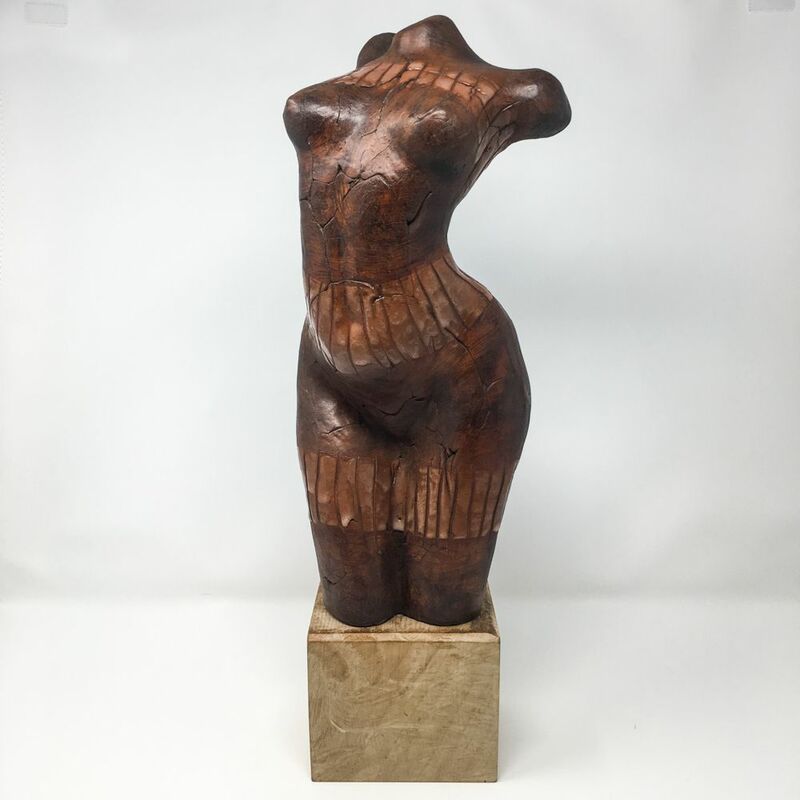 This stunning figurative sculpture titled 'Lou' has been cast in terracotta and a banded pattern has been applied by hand. It has then been glazed with transparent glaze, fired, waxed, polished and mounted on a timber block. Sophie Howard makes her evocative sculpture in her central Bristol studio and collaborates with mould makers, casters and other artists to realise her designs and commissions. 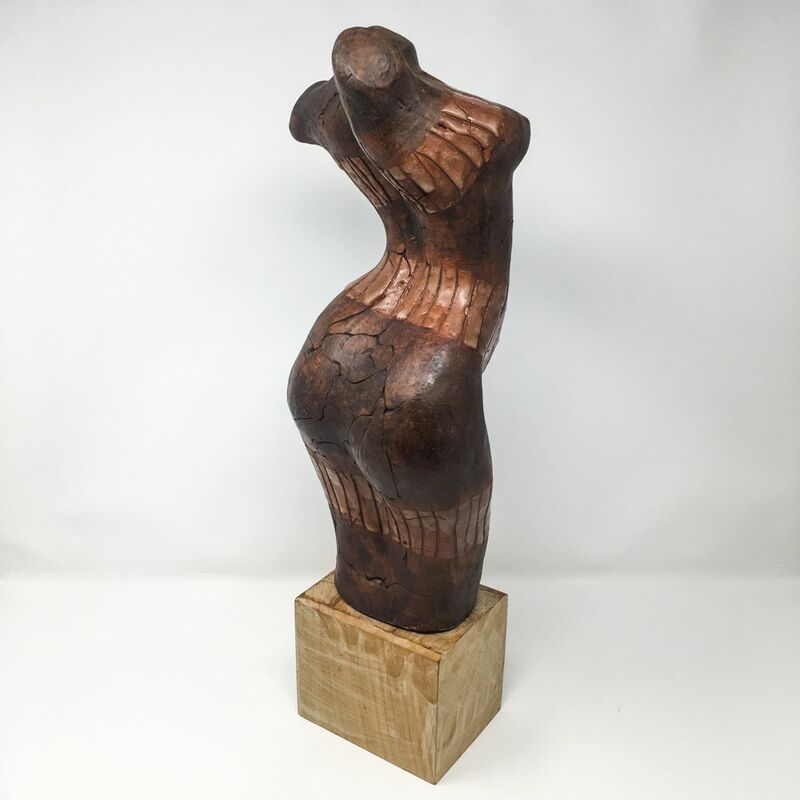 Seeking to find her own voice, she makes collections of pieces exploring themes including motion and stillness, the body and dance.